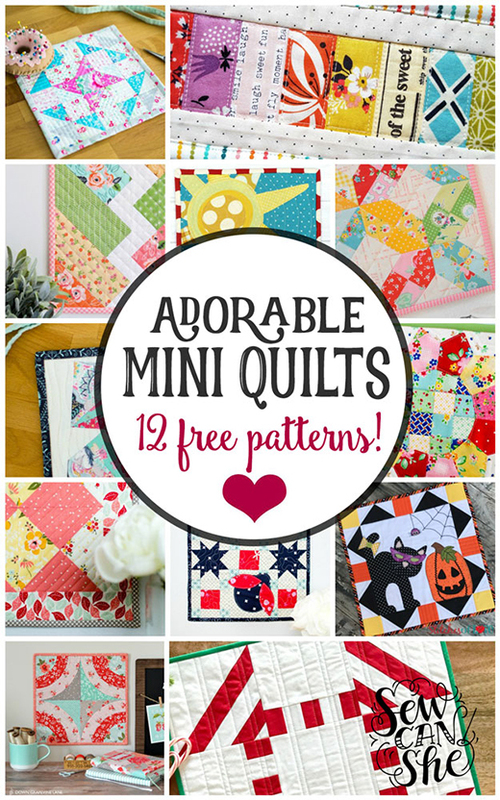 This 12 Adorable Mini Quilt Free Patterns collected By Caroline from Sew can she. Are you looking for a cute mini quilt pattern to sew up? Here are 12 adorable little quilts for you to choose from! Make a cute stand-alone quilt to hang on your wall, or combine these sweet blocks in 100's of combinations to make an amazing quilt.